Brothers, Stephen and Matt have been performing an exciting repertoire of both contemporary and traditional Irish songs in Sydney since forming their duo in the summer of 2012. McNamee Brothers are available for your next memorable event of Irish music to entertain, move and sing along to. Contact Matt at mattkralph@gmail.com to find out how McNamee Brothers can be part of your special event. TO be sure, Manly is the place to be for a St Patrick’s Day knees-up if you’re not going to the City. For a musical night, Narrabeen pub The Sands has Irish music from The McNamee Brothers, starting at 8.30pm and green beer. The traditional Irish pub will have four Irish acts throughout the day. Greg and Dereck will perform from noon-3pm, followed by the Selkie Band from 3-6pm, The McNamee Brothers from 6-9pm and Tim Kendell from 9pm-midnight. The McNamee Brothers will help the crowd celebrate St Patrick’s Day early at Club Rivers. The Irish band will be on stage on Saturday at 6pm as part of a weekend-long celebration of St Patrick’s Day, including an Irish-themed menu. Stephen and Matt grew up in the hills of Perth, WA in their family home built by their father who raised his family among the trees in the same town in which, he grew up. The timber walls and verandas were alive to the sounds of the violin, guitar, piano, singing and their Dad’s favourite instrument, the harmonica. There were only a few vinyl LPs in the house on high rotation and The Fureys was one of them. Many family dinners, Sunday afternoons, visits from friends and the occasional tear were accompanied by When You Were Sweet Sixteen and Belfast Mill on their old Fureys record. 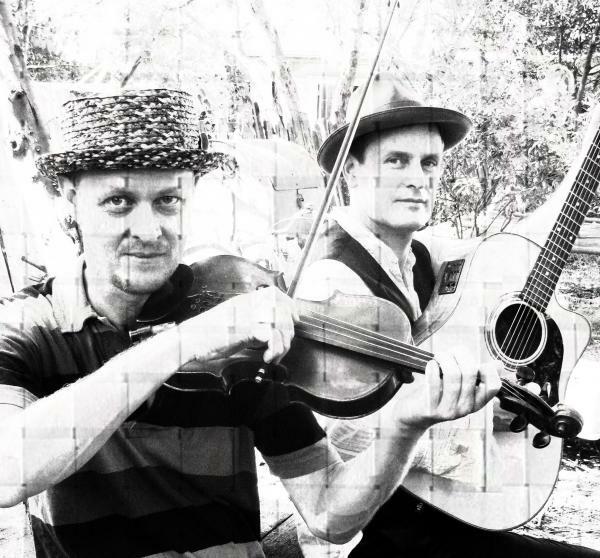 Now, decades later Stephen and Matt have raised their own families in hills of Sydney and have brought their love and many hours of playing Irish folk and contemporary songs to the many live venues from the inner city to Newcastle and beyond. They have performed at The Harbour View, had month long residencies at Kellys on King in Newtown, headlined University gigs in Wollongong, UTS and Sydney Uni, performed at Club Rivers for St Paddy’s Day at Club Rivers for 5 years in a row and were the featured live music event in The Narrabeen Sands live music calendar. During the week, Stephen can be found in his artist workshop sculpturing and running over his reels in Marrickville and Matt is a registered music therapist. They both share a passion for music, art, family, community and of course playing together as the McNamee Brothers. They always look forward to their next live performance and to creating a friendly and social atmosphere of singing and dancing, story telling and letting the fiddle come alive with the spirit of the Irish. Home to the McNamee Brothers live music duo/band. Connect, check out up coming gigs, listen, see pics and photos, share and book them for your special event.